Sarah Nader- snader@shawmedia.com McHenry's Hannah Crowley (left) safely slides back to first while Cary's Kristi Isola tries to tag her out during the fourth inning of Wednesday's game in Cary April 15, 2015. McHenry defeated Cary in 5 innings, 13-0. 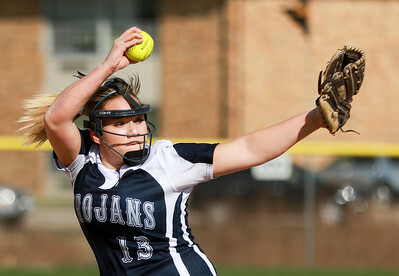 Sarah Nader- snader@shawmedia.com Cary-Grove's Amanda Degroote pitches during Wednesday's game against McHenry in Cary April 15, 2015. McHenry defeated Cary in 5 innings, 13-0. 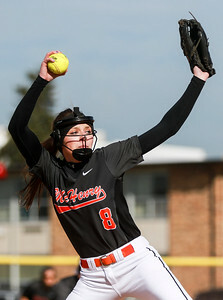 Sarah Nader- snader@shawmedia.com McHenry's Kristin Koepke pitches during Wednesday's game against Cary-Grove in Cary April 15, 2015. McHenry defeated Cary in 5 innings, 13-0. 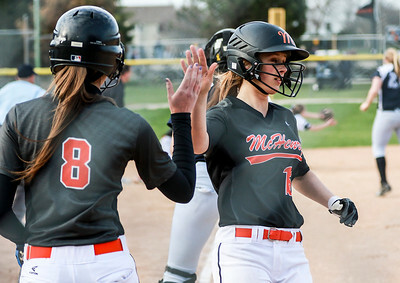 Sarah Nader- snader@shawmedia.com McHenry's Ravan Kosmalski high fives a teammate after running home during the fourth inning of Wednesday's game against Cary-Grove in Cary April 15, 2015. McHenry defeated Cary in 5 innings, 13-0. 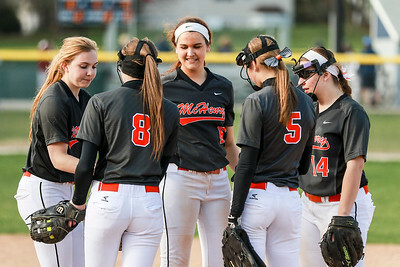 Sarah Nader- snader@shawmedia.com McHenry softball players huddle during Wednesday's game against Cary-Grove in Cary April 15, 2015. McHenry defeated Cary in 5 innings, 13-0. 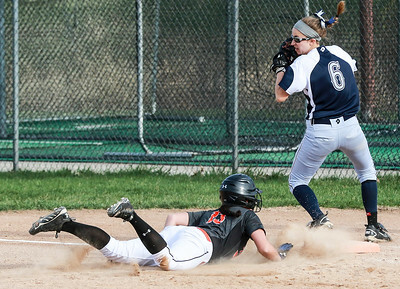 Sarah Nader- snader@shawmedia.com Cary-Grove's Molly MacDuff makes contact with the ball during Wednesday's game against McHenry in Cary April 15, 2015. McHenry defeated Cary in 5 innings, 13-0. 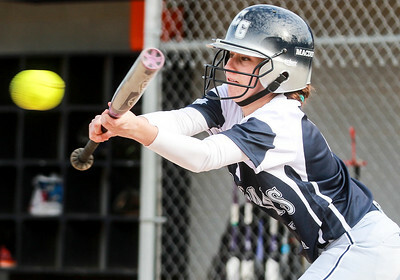 Cary-Grove's Molly MacDuff makes contact with the ball during Wednesday's game against McHenry in Cary April 15, 2015. McHenry defeated Cary in 5 innings, 13-0.